USED IN 3D PENS AND PRINTERS – This pack can be used for all types of 3D printing and is excellent for detailed and demanding applications. 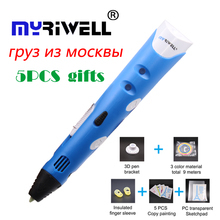 It works with most well-known 3D pens and printers. The temperature range for this product is 210°C – 250°C along with a tolerance of +/- 0.05mm. The first layer temp is 235°C along with a heated bed temperature of 110°C. These are overall projected specs and may vary with the printer.